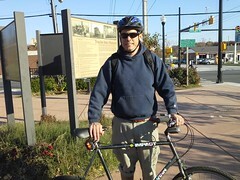 Eight years after I did it the first time, I rode the length of the Washington & Old Dominion Trail from Purcellville (Loudoun County) to Shirlington (Arlington County). 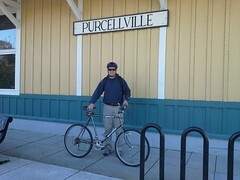 This time, I rode solo though my brother contributed with a ride out to the western terminus. 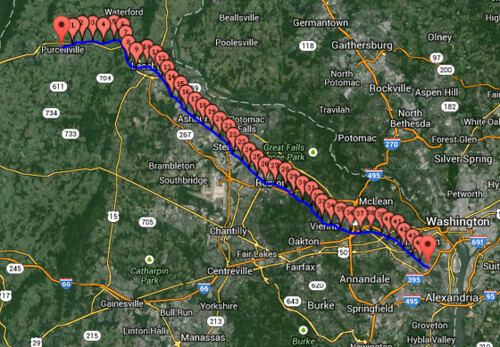 Riding the length of the W&OD Trail is enjoyable because just about every part of Northern Virginia is seen from a bicycle seat. 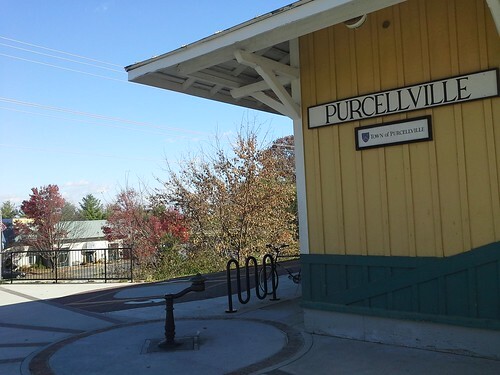 There are the old towns of Purcellville and Leesburg. In the west, there are still working farms, whereas in Ashburn, there is sprawl on what were farms until about 25 years ago, maybe less. The old Partlow Bros. general store there has been turned into an excellent barbecue place and retains the old charm. Before even reaching Ashburn is the Luck Stone quarry with an overlook. 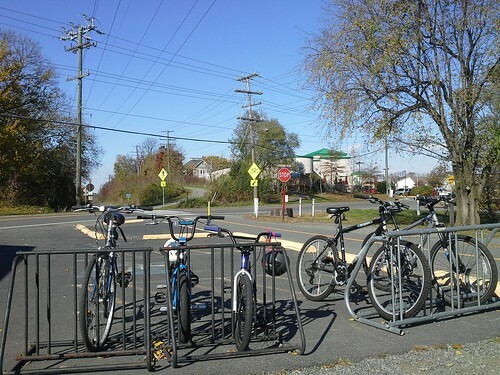 In several areas adjacent to the trail are auto repair shops, just about the closest that we get to light industry in Northern Virginia. The practice bubble of Redskins Park stands out from a countryside awaiting its own sprawl. Sterling has its own sprawl from the 1960s and 1970s while Herndon seems almost quaint, particularly in the center with its restored rail station and caboose. Reston, one of the original planned communities, now has highrises and a skyline. Between Reston and Vienna, an area I spent a lot of time riding through as a kid, the earlier sprawl has grown in as it has in Vienna. My hometown also has a caboose and a restored rail station and a block away from the trail, the Vienna Inn. East of Vienna, the Capital Beltway (I-495) and I-66 are crossed with the latter bisecting the last significant hill of the ride. Falls Church, “the little city” has a little of the light industrial feel, but is mostly suburban, while aside from some on-street portions entering Arlington County much of the rest of the ride is through Four Mile Run Park which also has a caboose at Bluemont Jct. The last mile or so parallels Four Mile Run Drive which has apartments on one side, more “light industry” and high rises a few miles away, before terminating in Shirlington across from Weenie Beenie (closed Sunday). I could not specifically say how much has changed since the last time I made the trek, but there are so many grade separated crossings now that stops are relatively few. There are several stations for water and air too. I wasn’t stopping unless I had too, but there are numerous displays about the old railroad and the history that happened along it through the ride. 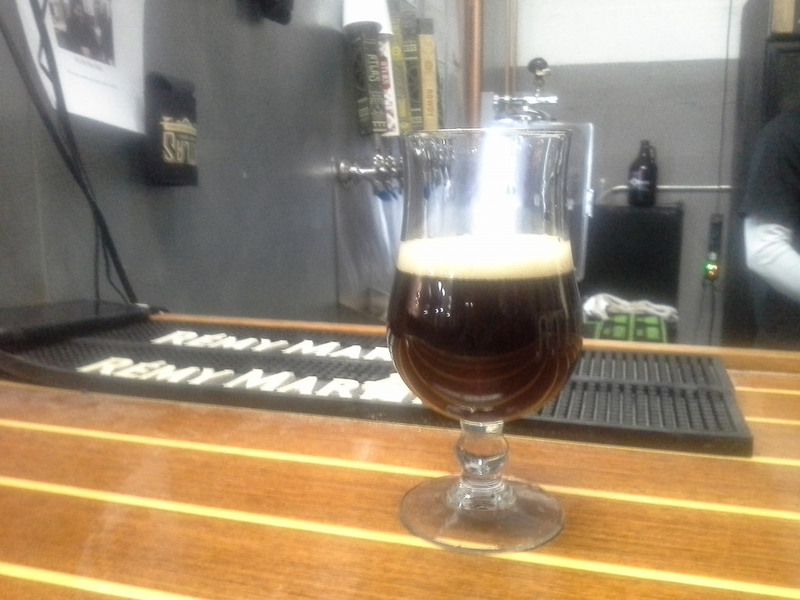 Visiting Atlas Brew Works in Ivy City, D.C.